There’s a certain sameness to many travelers’ vision of a Caribbean vacation: sun, sand, rinse, repeat. But there’s a surprising amount of variety available throughout the region, especially when it comes to hotel experiences. When you think of a Caribbean vacation, you probably think of warm waters gently lapping at your feet while you sip a colorful cocktail under softly swaying palms. And you wouldn’t be totally wrong. Those things are amazing, and they’re available at almost all of the great Caribbean hotels and resorts. But there are many different ways to experience the region beyond the cliché, and many different kinds of hotels from which to do it. The twelve hotels below were recently added to the Tablet selection. Variety being the spice of life, each presents a unique vision of the Caribbean, allowing travelers to flip the script and try something different each time they visit. WHAT MAKES IT DIFFERENT: The benefits of both a beachfront setting and a vibrant urban backdrop. 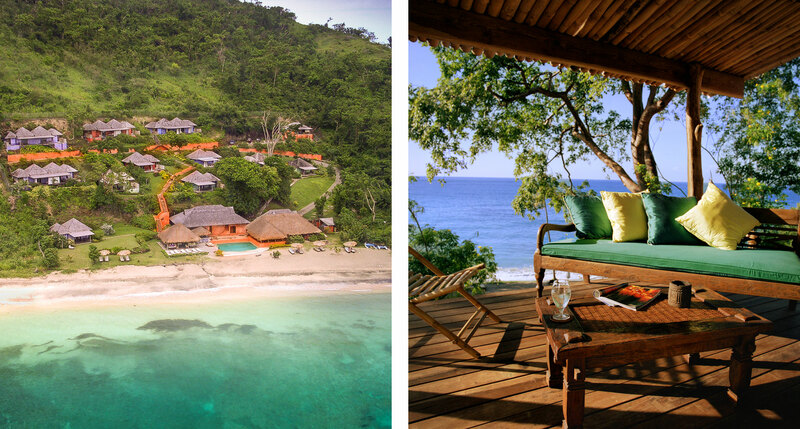 BijBlauw turns the old “beachy Caribbean resort” trope on its head. 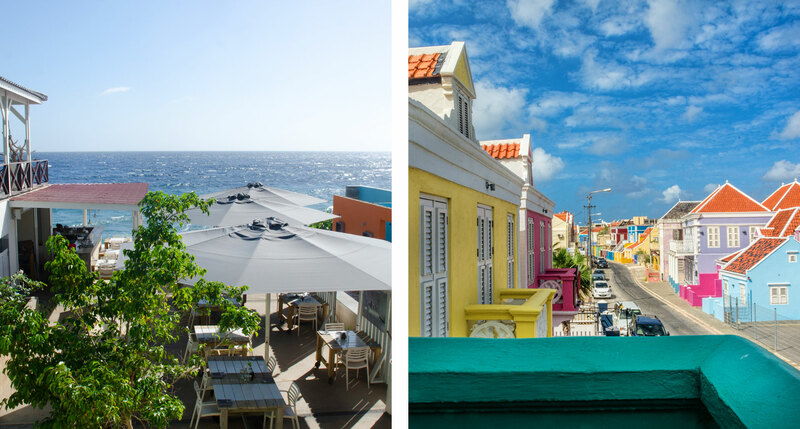 There’s still plenty of white-sand waterfront, but Pietermaai, Curacao’s trendy hub and entertainment district, is the central focus. It’s a best-of-both-worlds scenario, situating resort-style tranquility against a vibrant, walkable urban backdrop. 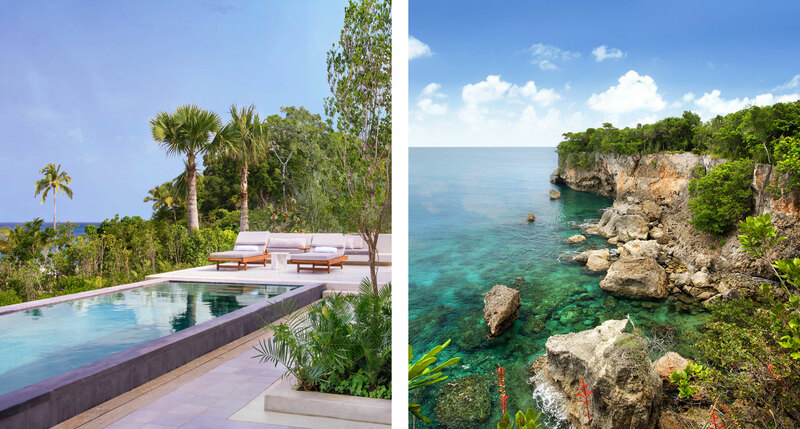 If you want a resort with three infinity pools and five restaurants, go to Barbados or Anguilla. 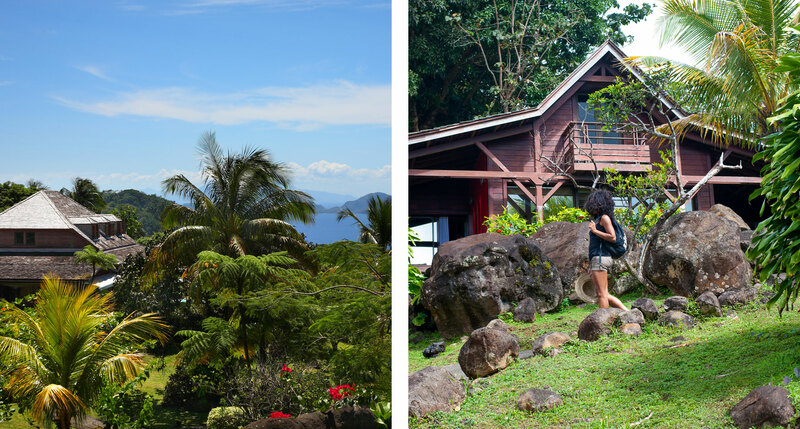 If you want to hike through the rainforest and meditate at dawn on a treetop platform and sleep in a clifftop bungalow sustainably built with native tropical wood, you go to Dominica, nicknamed “Nature Island,” and check into Secret Bay. 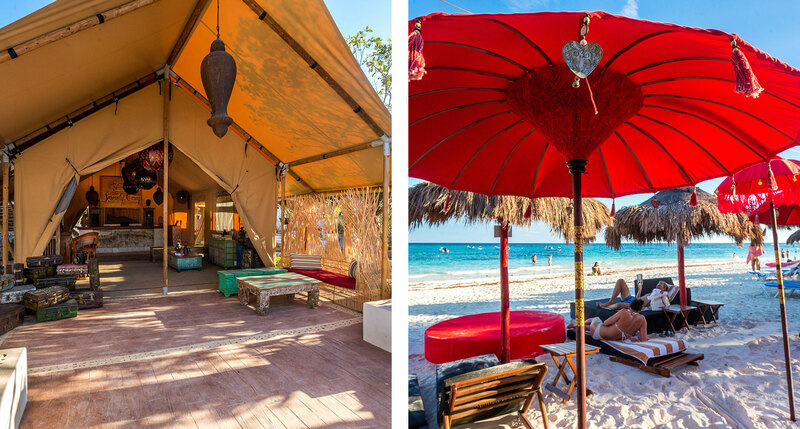 WHAT MAKES IT DIFFERENT: An adults-only tech detox with a clothing-optional beach. “Pure love, unity, and comprehension of everything and everyone” — plus a clothing-optional beach and, crucially, no kids. 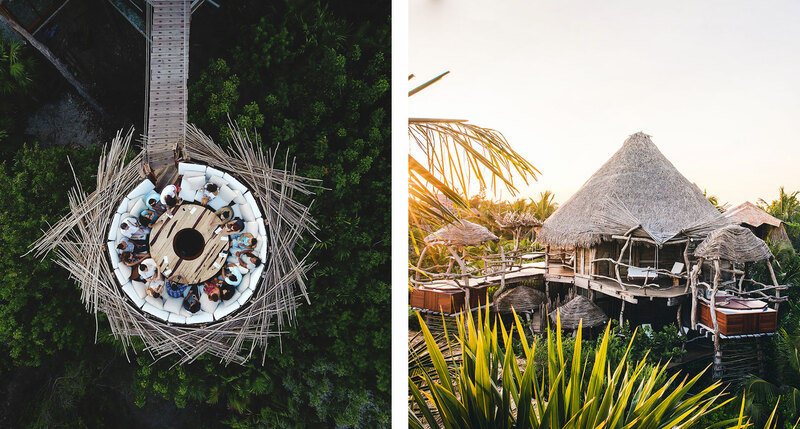 This, in a nutshell, is the appeal of Azulik, a low-tech, wellness-oriented retreat with a stunningly avant-garde design on the Caribbean coast of Tulum. WHAT MAKES IT DIFFERENT: Stylish and social with a party-all-night atmosphere. The goal of the Pearl is to appeal as much to locals as to style-conscious travelers. 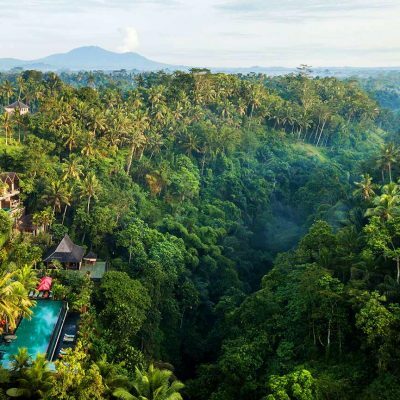 The atmosphere is decidedly social and pro-party — think DJs on the turntables, free-flowing tropical cocktails, and fire-eaters dancing in the sand — while the 14 rooms offer a welcome refuge from the lively scene outside. WHAT MAKES IT DIFFERENT: Aman hotels are known for faultless luxury and service. Aman hotels are a class of their own. As a group, their properties offer unmatched levels of style, service and luxury. 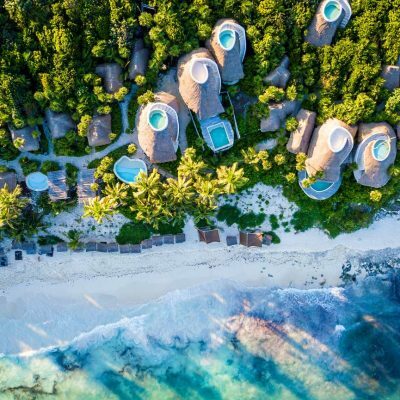 Amanera is no different — sprawled along the shoreline cliffs of a wildly beautiful stretch of Dominican coast, it’s as elegant, ecologically sensitive, and peerless as all of its sister properties. WHAT MAKES IT DIFFERENT: Colonial-era atmosphere in a major coastal city. If you’d prefer to bypass the beach completely and immerse yourself fully in an urban environment, then Cartagena, on Colombia’s Caribbean coast, is a great place to start. There, Hotel Casa del Coliseo offers a 17th-century residence in a central location, with 12 rooms that combine current luxury-hotel standards with classic colonial-era features. WHAT MAKES IT DIFFERENT: The name doesn’t lie; this is an eco-friendly luxury tented camp. 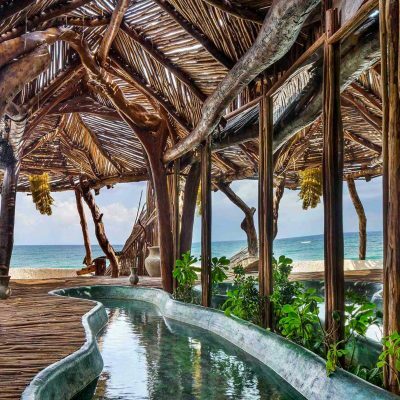 Mexico’s Caribbean coast is one of the world capitals of eco-hospitality, and the Serenity Eco Luxury Tented Camp gets you as close to nature as any of the region’s low-impact, sustainability-obsessed boutique hotels. There’s also a spa, featuring massage, jacuzzis, and yoga instruction. WHAT MAKES IT DIFFERENT: Unassuming, intimate, rustic, and real. Le Jardin Malanga is far from a mega-resort, or even a resort. 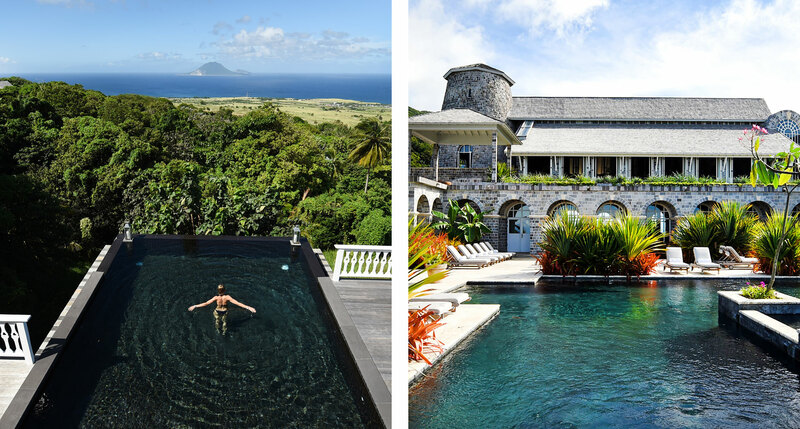 Nestled into the forest up the hillside from the beach, with stunning views of the nearby Saintes islands, it’s just one Twenties-era colonial mansion plus three freestanding cottages, creating an atmosphere that’s as tranquil as can be. WHAT MAKES IT DIFFERENT: A sprawling organic farm serving sustainable cocktails and cuisine. The proprietors of Belle Mont take full advantage of their tropical location, ornamenting what’s essentially French cuisine with sustainable citrus elements grown right on the hotel’s own organic farm. It gets better: they deliver fresh fruits and vegetables to each guesthouse on a daily basis. 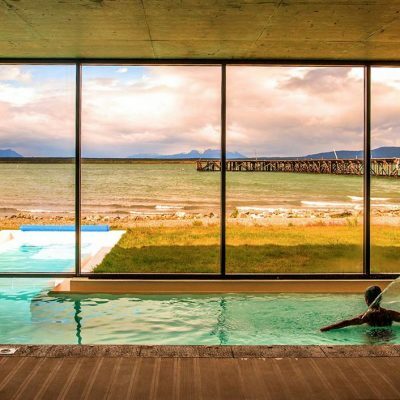 WHAT MAKES IT DIFFERENT: Hyper-luxury, where billionaires go to escape millionaires. 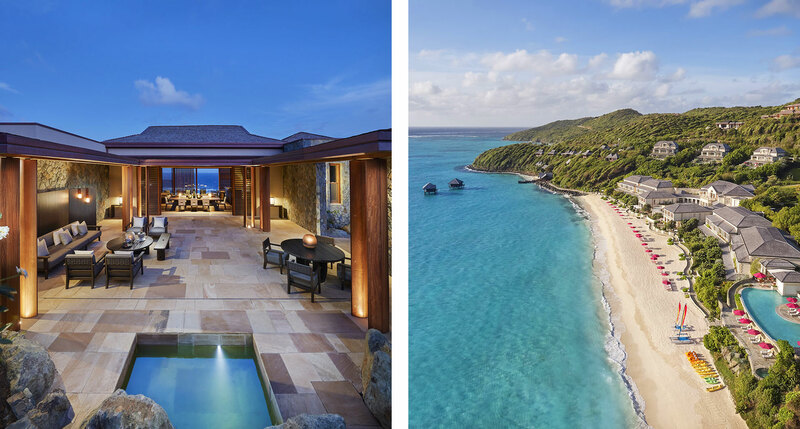 Canouan styles itself as the place “where billionaires come to escape millionaires,” so naturally, Canouan’s hotels have always been high-end. But the arrival of the absurdly lavish Mandarin Oriental makes what went before it look almost shabby by comparison. 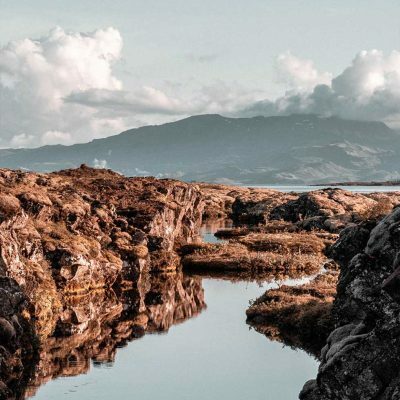 WHAT MAKES IT DIFFERENT: Eco-luxury located within a UNESCO World Heritage site. 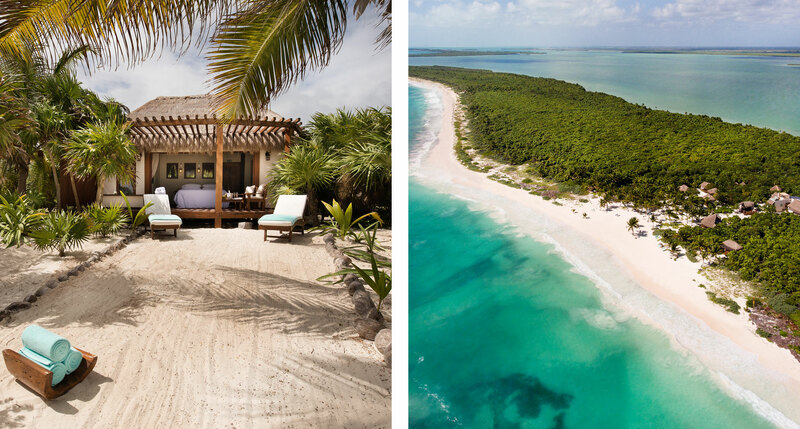 The Sian Ka’an Biosphere Reserve is a UNESCO World Heritage site dedicated to preserving the flora and fauna of the Yucatán coast; it’s also home to Mukan Resort, a hotel that single-handedly demonstrates that the desert-island atmosphere of a true eco-resort is entirely compatible with the white-glove elegance of a modern luxury hotel. 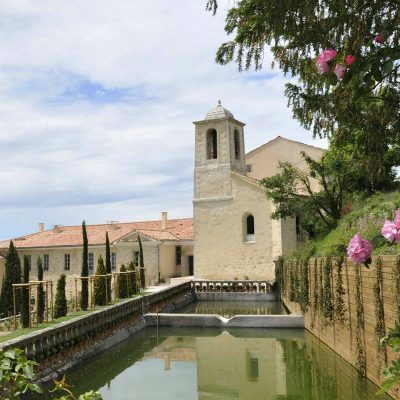 WHAT MAKES IT DIFFERENT: A celebrity haunt that’s perfect for when you want ultimate privacy. 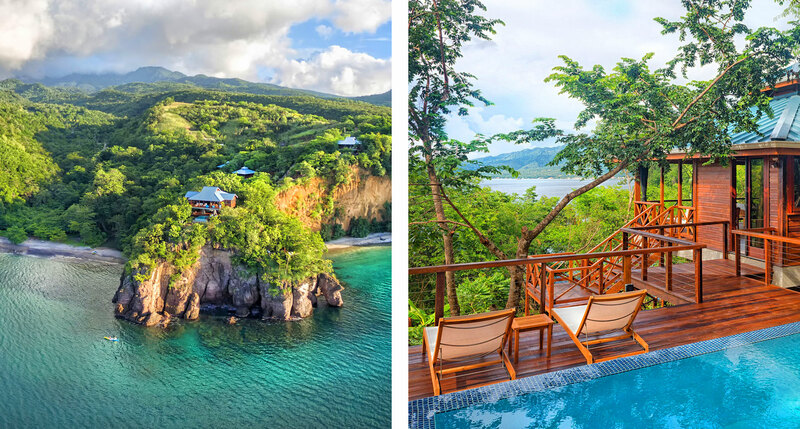 We couldn’t have a list called “Spice of Life” without including a hotel from Grenada, the “Spice Isle.” Laluna, very intentionally, appears to be a modest jumble of shacks. 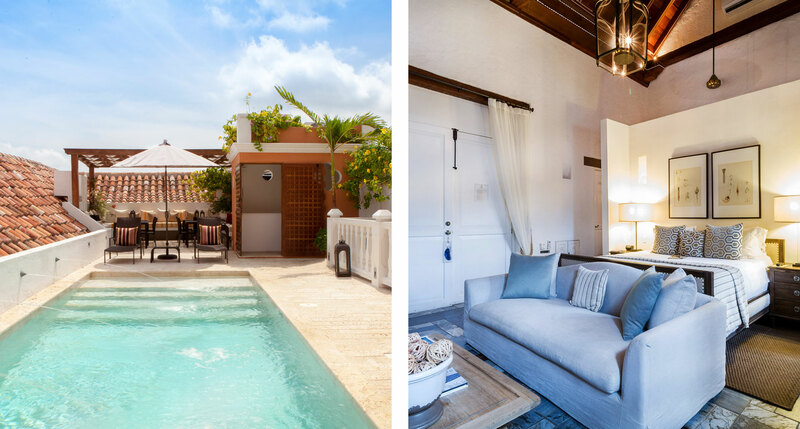 But look a little closer and you’ll find one of the most effortlessly sophisticated hotels in the Caribbean, as stylish and luxurious as it is unostentatious. If you want to see a few more hotels like these, check out this Fresh Batch of First-Class Beach Hotels. You have used the same photo twice: Bathelemy and Canouan. Thanks for catching that, Tony! 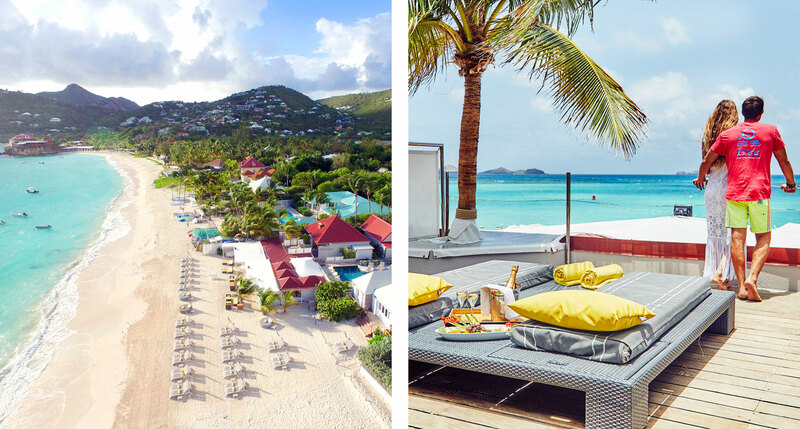 You have used the same photo for two different locations, the Mandarin Oriental Canouan, and the Pearl Beach in St. Barth’s! What’s up? Is it even an aerial beach shot of one of those two?